I know it’s not December yet, but we’re going to start getting into some holiday stuff around here. I’m a strong proponent of buying gifts throughout the year. It makes it so your budget takes a bunch of small hits rather than one big one. And it’s much easier to recover from small hits. Or, you could budget in a small amount of money for gifting each month. That would probably be healthier. Regardless, this year I wanted to put together a unique gift guide. Twenty seventeen has been a rough year for me. It’s been a rough year for the country, the world, and I’m guessing the people in your life have been thrown for a loop, too. As we think about giving this year, maybe we should be thinking a bit beyond ourselves. Maybe we should make sure the money that we’re spending is going to support others who are suffering or working through some trials towards a grander goal and future. That doesn’t mean our gift list needs to be an itinerary of charity donations. Not that there’s anything wrong with charity donations; organizations need money now more than ever. It’s just that we can still get useful and meaningful gifts while supporting good causes. I’ve been gifting or receiving from Ten Thousand Villages since I was a little kid. My amazing aunt introduced our family to the organization, which brings wares from artisans in developing areas the world over into its shops and online marketplace. They make sure everyone is being paid fairly and that working conditions are safe. A lot of the materials used are recycled or au naturale. When you shop at Ten Thousand Villages, you support small businesses and individuals by giving them employment–which leads to access to healthcare and education because money. The aforementioned aunt has several hammocks inside her home. I’m not going to lie–I’ve taken more than my fair share of naps in them. She also lives in a chilly climate. The Summer Day Hammock is meant to be used outdoors. 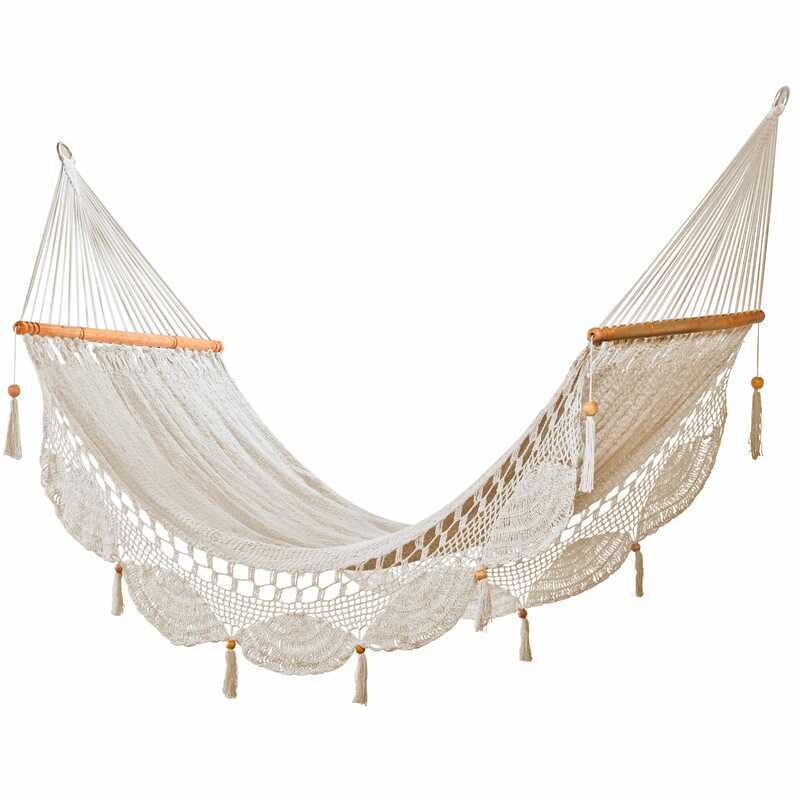 The Summer Day Hammock is made by Oyanca Artesania in Nicaragua. The organization–whose employees are 50% female–was started as a way to boost export opportunities for artisans in the Central American country. Today their artisans mix traditional Nicaraguan arts with contemporary design to make amazingly beautiful items like this hammock. 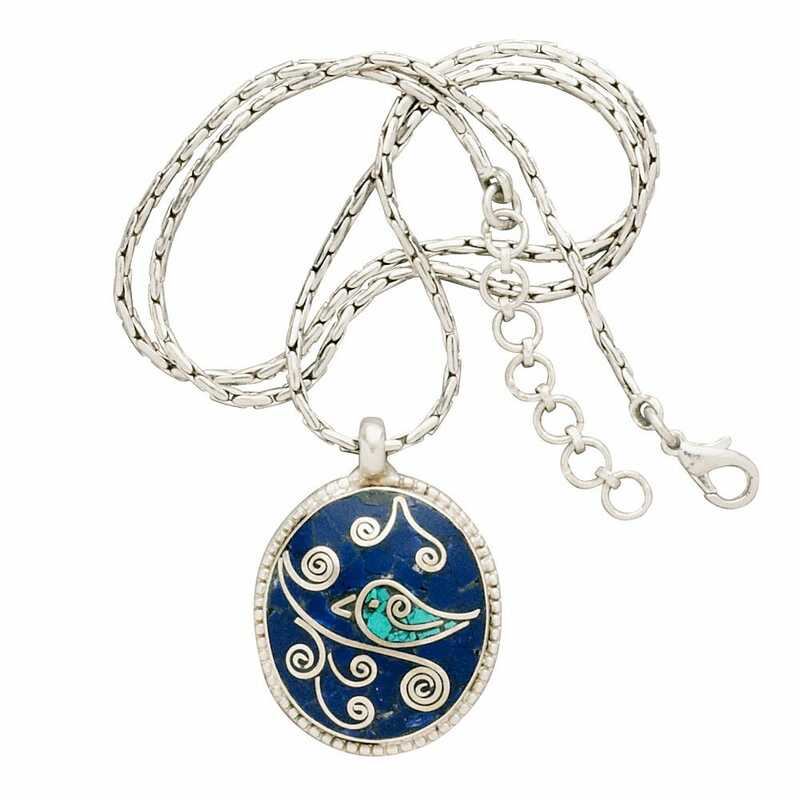 Made of turquoise and lapis, this pendant–necklace chain included–is beautiful and only sets you back $49.99. This gorgeous white metal pendant is made by women from Manushi in Nepal. Women in Nepal have very little power over their own lives. Manushi works to solve that problem by empowering poor women with the power of artistry. They also work on community development, provide entrepreneurial training, and issue microloans for small businesses. Ten Thousand Villages actually has Palam soap in a ton of different scents. If pine isn’t your giftee’s thing–even when there are adorable puns involved–you’ve got plenty of options. India operates under a caste system. At the lowest rung are the Harijans, or untouchables. If you are a Harijan, you are not allowed to purchase land. Palam works to to mediate this injustice by using profits to buy land and homes for Harijan artisans in southeast India. They also build schools for their artisans’ children, on top of providing healthcare and pensions. 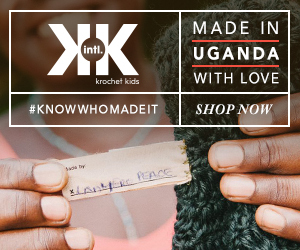 Krochet Kids fights poverty through knit hats, an apparel line and crocheted stuffed animals. With locations in both Peru and Uganda, the company is focused on building ladders to sustainable businesses. The women they employ get paid fairly for their work, have opportunities for management positions, and receive training in personal finance, business and their craft should they choose to venture down the road of entrepreneurship solo. When you go through something difficult, it takes time to heal. It takes attention. It takes work. After the past year, I feel like there’s an even bigger need for therapy than there was just twelve months ago, and I think it would be awesome if we could support more people as they choose to pursue the path of healing. Art therapy is an extremely cathartic and meditative exercise that can pave the path back to well-being. It also happens to be one type of therapy that has a tangible end. Therefore, we can literally pay people for doing it. Here is some work from some of my favorite Etsy shops–all of which sell the product of their therapeutic efforts. Ting Yuen is a full-fledged Canadian artist with her own gallery and all. 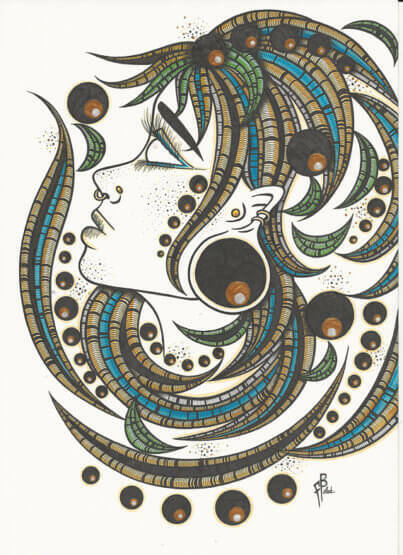 She has always used art as a form of self-expression, so it makes sense that when she was going through a difficult period in her life, she painted her way through. 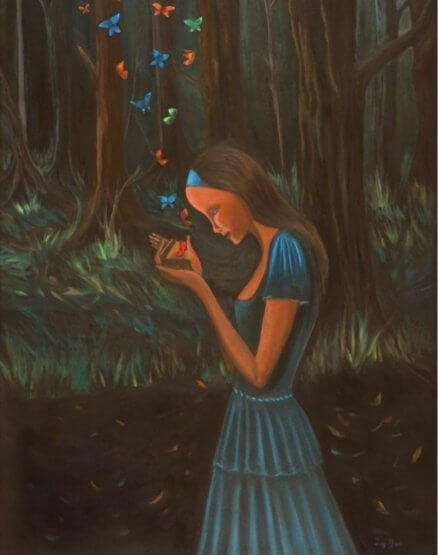 Metamorphose III, pictured above, is all about realizing that change, while painful, can result in beauty. Dana Pecararo tragically lost a friend when they were just 8 years old, and the pain stayed with her. Today, she draws upon that experience to craft sculptures for parents mourning their children. This Mother and Angel Sculpture is demonstrative of her work which spans a wide range of grief and aspires to keep the loved one’s memory alive by sparking a conversation. We talked about PTSD just the other day. About how it affects women more often than men, and how it doesn’t only happen to soldiers. Bridgett Pollock developed PTSD after a traumatic experience, and now works her way through the ups and downs via art. Pictured above, Fragmented Continuation is just one piece in a series. While this one highlights a feeling of falling apart–of intrusive memories from the past coming in and shattering the present–some of the other pieces are created when she’s in a place of mindfulness and joy. 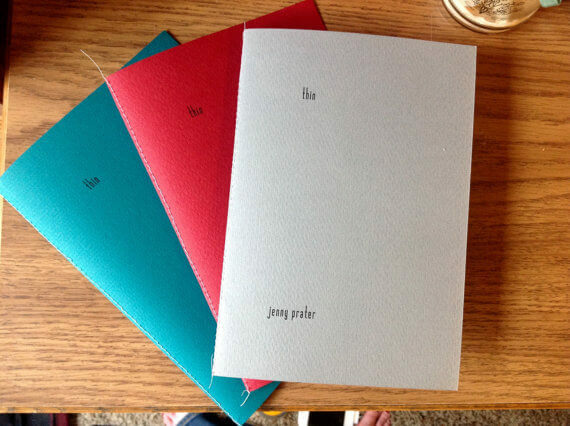 Taking self-publishing to a new level, writer Jennifer Prater shares her thoughts, feelings and experiences with an eating disorder in her poetry anthology–thin. Not only does she create the written content, but she hand binds each and every copy. 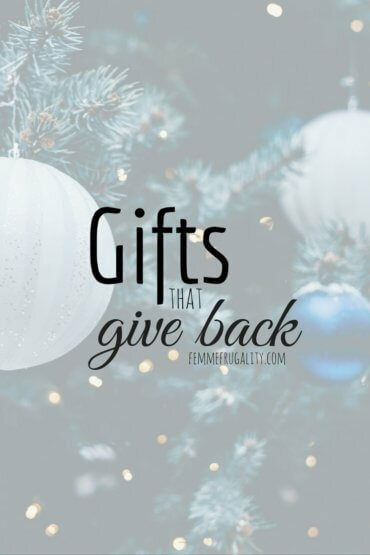 Are you giving gifts that give back this year? Would love to hear about your plans in the comments. 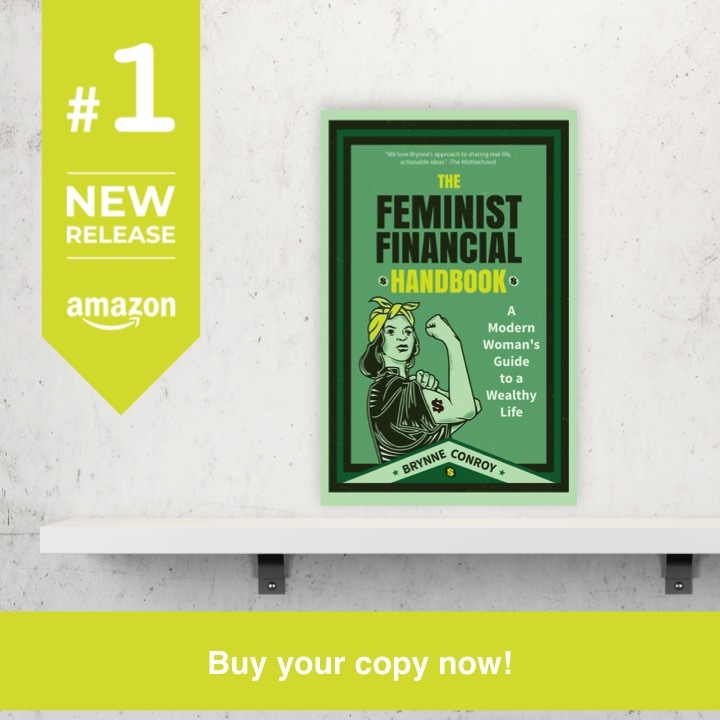 This entry was posted in Family Finance, Think on October 6, 2017 by femmefrugality.